Bone Broth Is Good For Gout - Makes Some Today! 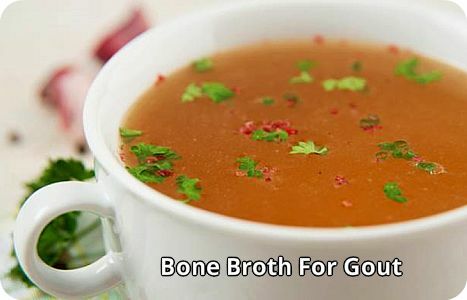 Why Is Bone Broth Good For Gout? You never would have thought so huh? With everyone telling you to keep red meat out of your gout diet, I’m sure that drinking a tasty, steaming cup of bone broth a few times a week is the furthest thing from your mind when it comes to taming gout. But I’ve got good news for you! Glycine helps clear uric acid. It’s been known for quite some time and is considered by some to be a treatment for gout. Glycine is an amino acid and neurotransmitter that is plentiful in good old bone broth. 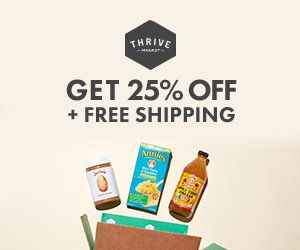 Bone broth is making a big comeback these days. There are a number of companies that now produce it and there are even drive up windows for it just like a Starbucks! Check out this new happening thing going on in NYC – Brodo! 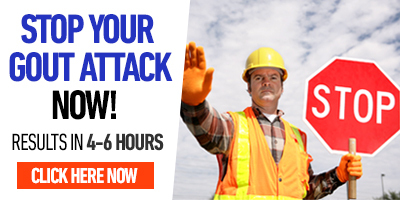 I’m very excited to turn you on to this because as far as I’m concerned, it marks a big shift in the nutritional thinking of the American population – we are finally realizing that you can’t game Mother Nature and trick our bodies with synthetic chemicals put together to “look” like nutrients. Bert you are the BOMB!!! I am on it! The Apple Cider Vinegar is the best thing ever for his blood pressure. I am going to try to get him to a place he is off all meds (with the doctor’s approval of course). Where Does Bone Broth Come From? You make it yourself. My wife Sharon – sometimes known as The Gout Wife – has now started her nutritional therapy practice here in Denver and she will be doing a lot with recipes and much more – stayed tuned for more from Gut Level Nutrition! But in the meantime, if you do a quick search for bone broth recipes on the interweb, you will find a lot of them. The most important thing to know is that you have to start with high quality bones. Grocery stores that sell organic produce and consciously raised animal products will have them. You don’t want to be getting the bones from toxic, commercially raised beef or other animals. Someone else I want to promote is Raine Saunders and her website, AgricultureSociety.com. She has a great post about bone broth, all the reasons why you should make it, and a great recipe for how to do it. ☆ Bottom-line: Bone broth is good for gout! Nutrient dense, properly prepared, whole foods are the foundation of good nutrition and the starting point of an effective gout diet.